How does your practice measure up to the best? Offering best practices for growing, protecting or transitioning your practice. Streamlining compliance and backstage operations so you can concentrate on what you do best. 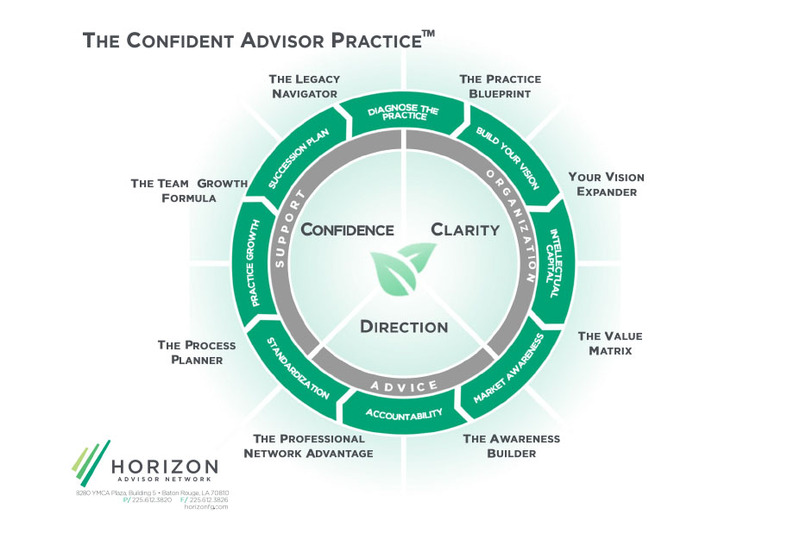 In the Horizon Advisor Network, every service is planned and executed to increase the success of your practice. We've helped successful practices in states across the country develop more confidence, clarity and direction in their practice, and we're ready to do the same for you. With 45 advisors in 12 states collectively managing, advising and consulting on more than $2 billion in client assets we are built to support the needs of the elite independent advisors. 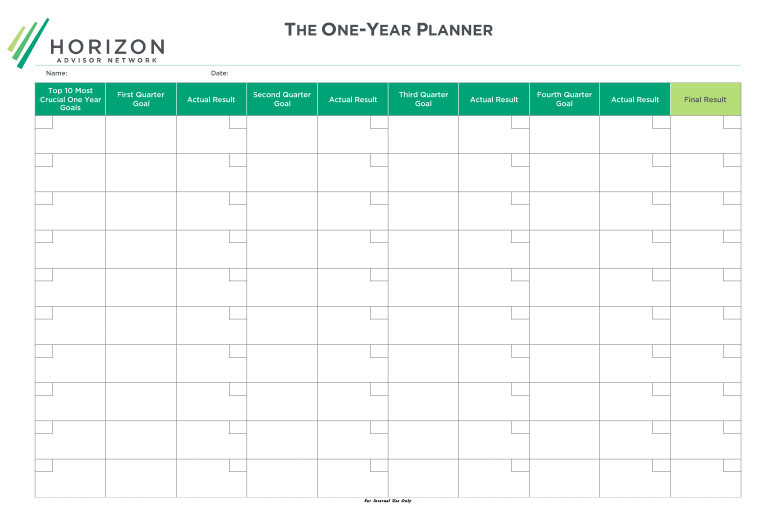 When you join our network of advisors, your firm gains access to our full suite of management tools and resources. That means you get to keep your independence as an advisor while avoiding the potential pitfalls of navigating your growth alone. "As I was looking for an OSJ I knew I wanted a forward thinking, outside of the box group with the character and integrity to assist me with looking forward into our industry's direction. 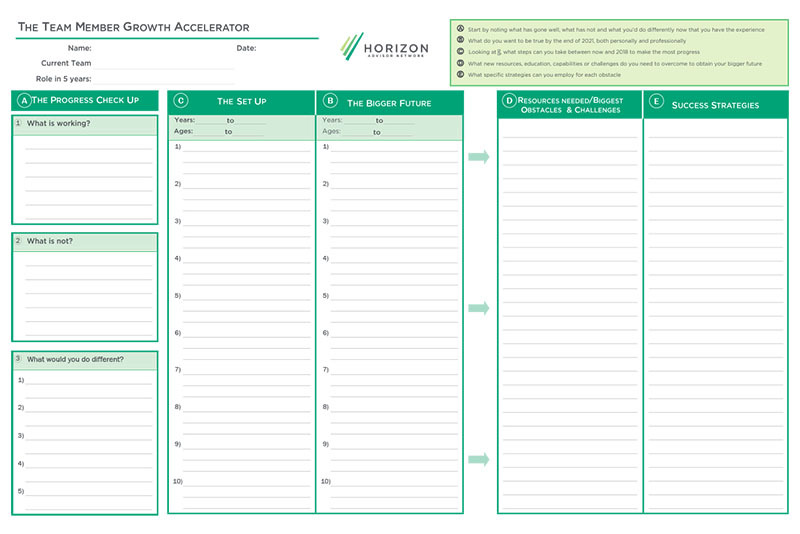 I want to see where our industry is going and meet it, not play catch up..."
"Horizon has built a professional, process-driven platform that allows our firm to conduct business effectively and confidently. 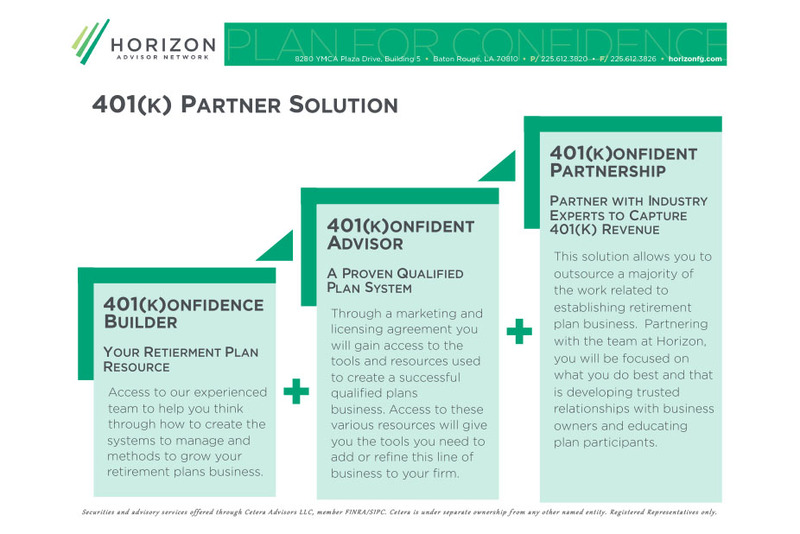 The Horizon team goes beyond providing exceptional service by partnering with their advisors and helping them reach their potential. 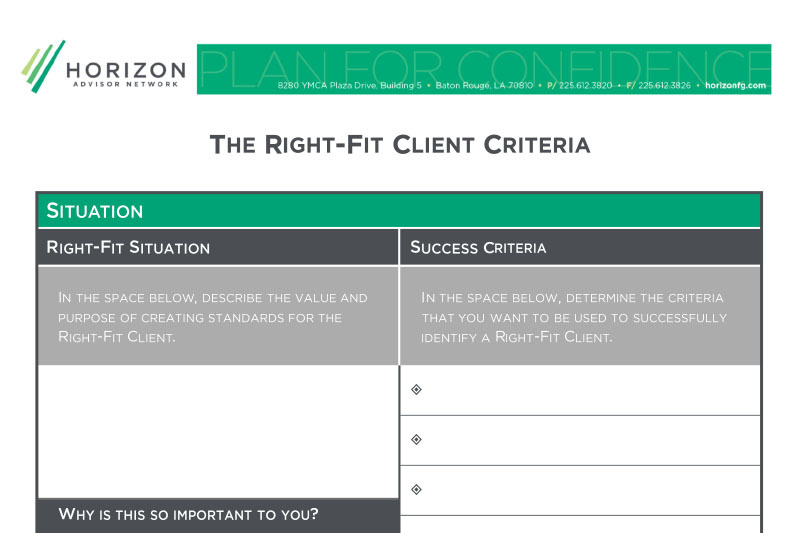 They are ardent believers in coaching and accountability and have developed the resources and relationships needed for advisors to increase their value and achieve greater success." Any stage of your career, any size firm–let us help you take the next steps.